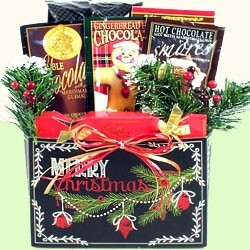 A best seller and customer favorite since 07'. 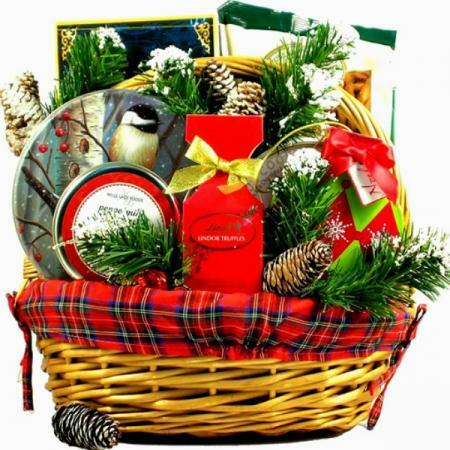 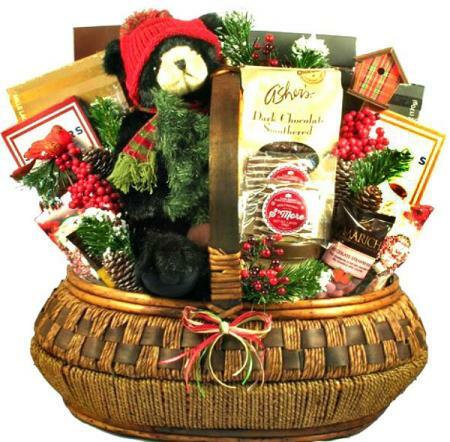 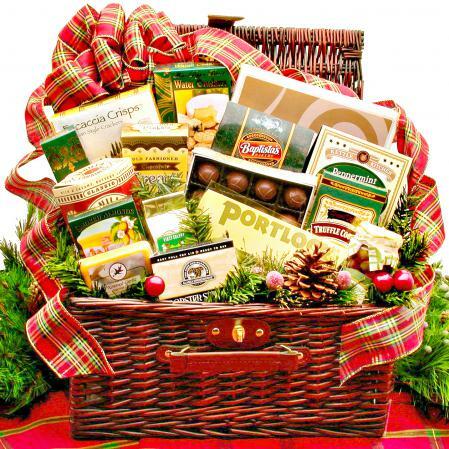 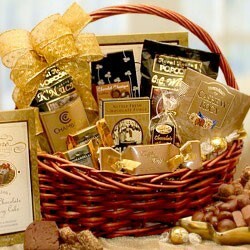 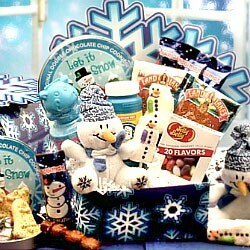 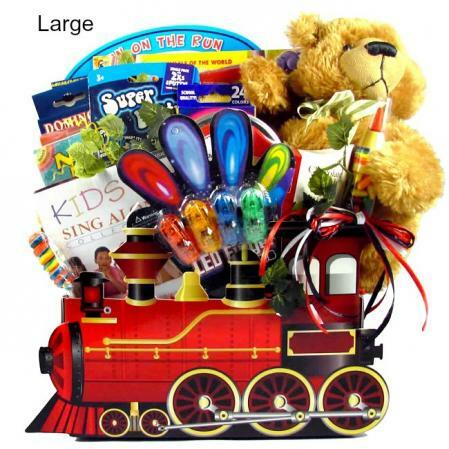 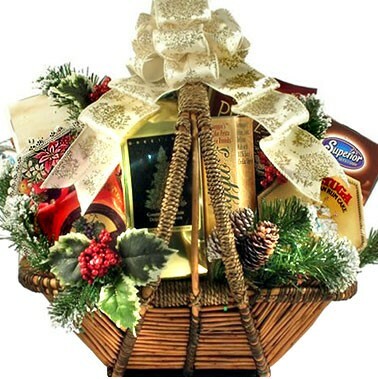 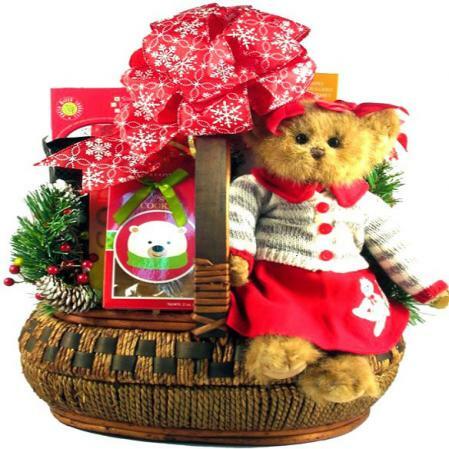 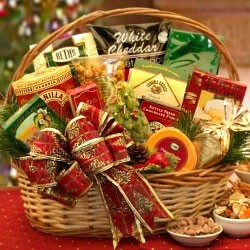 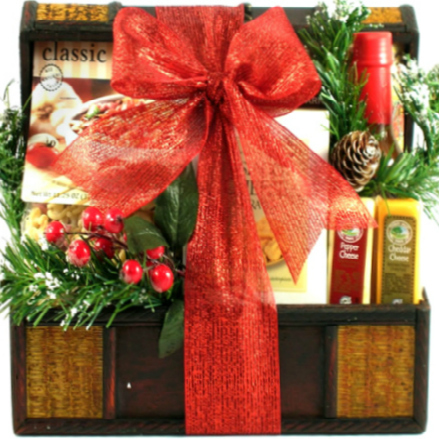 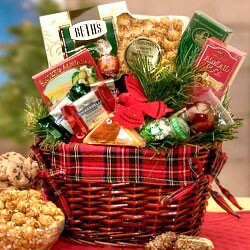 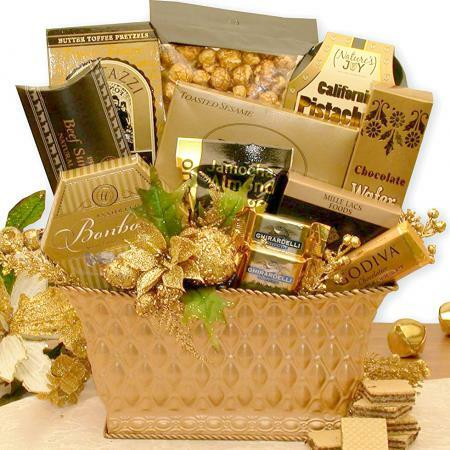 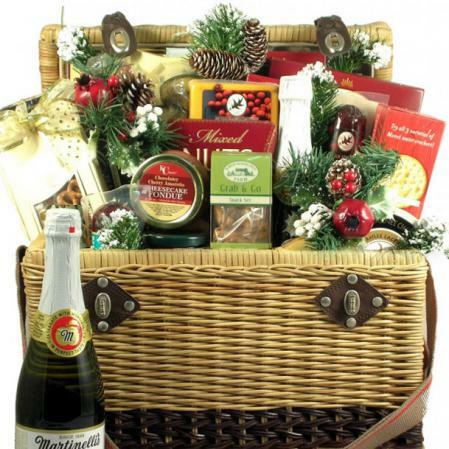 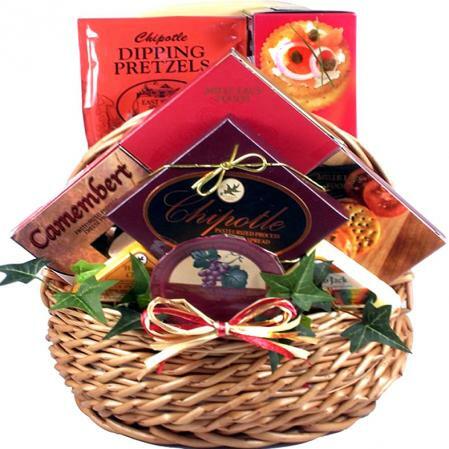 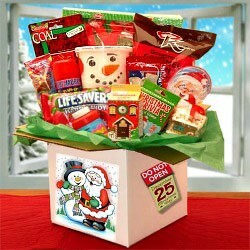 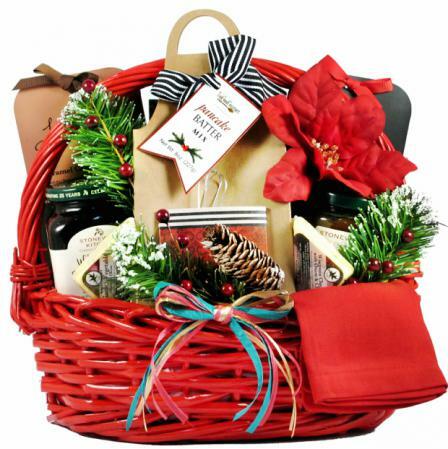 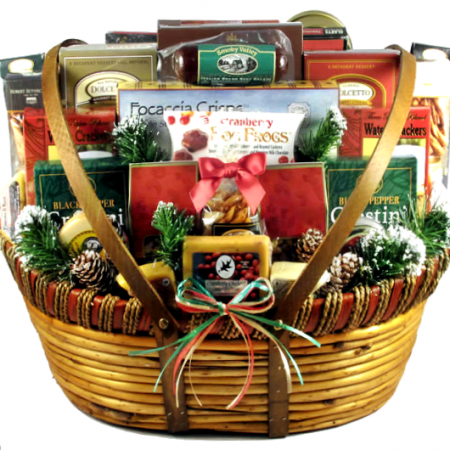 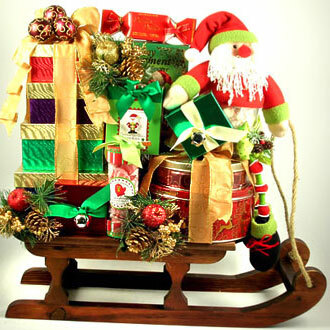 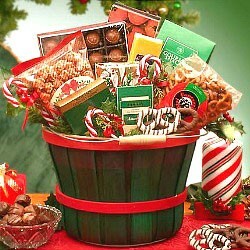 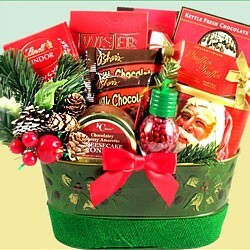 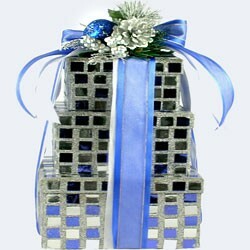 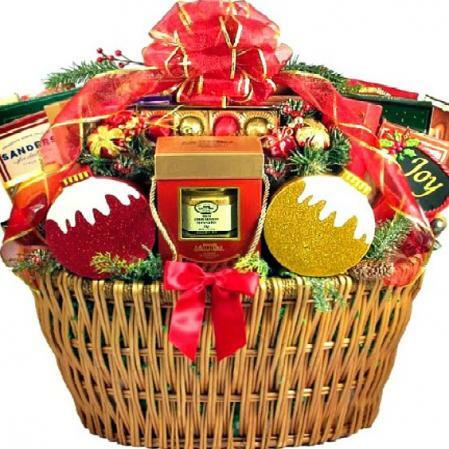 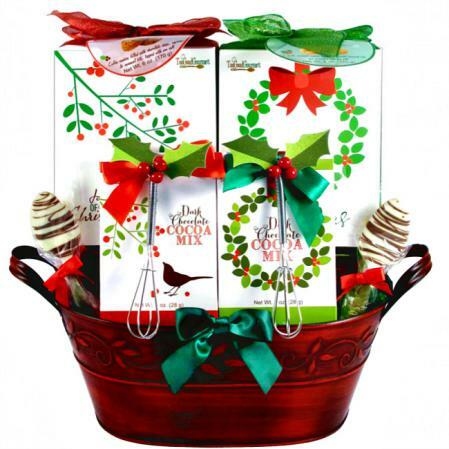 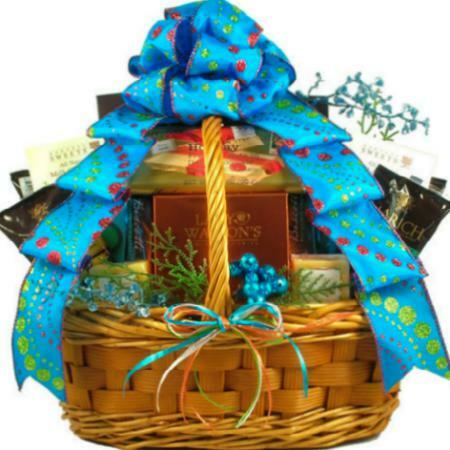 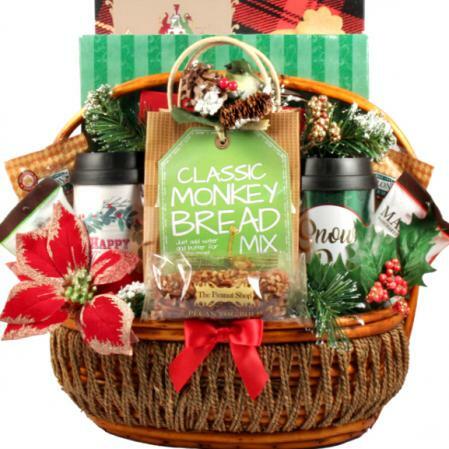 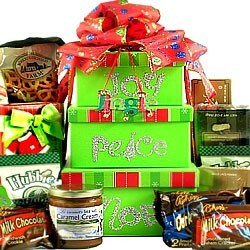 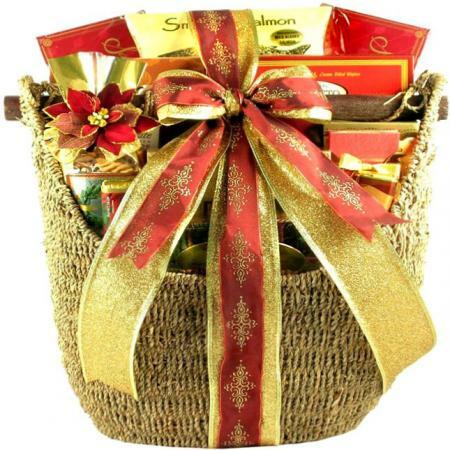 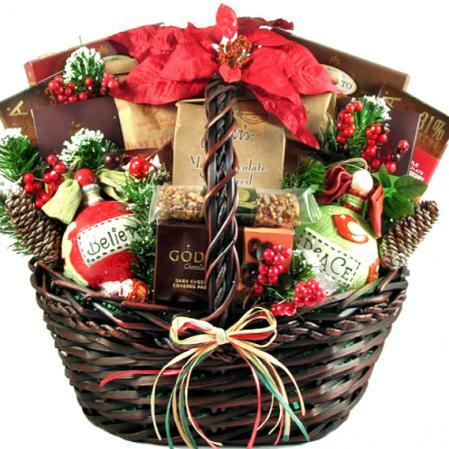 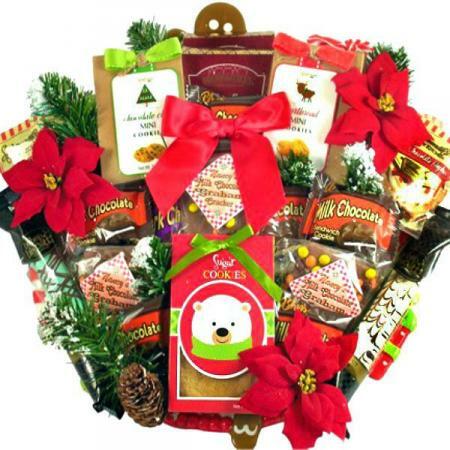 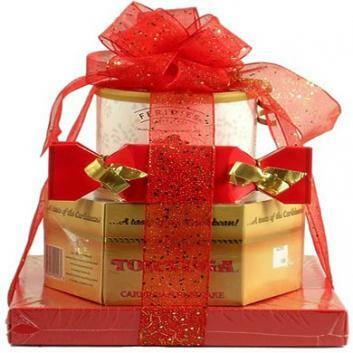 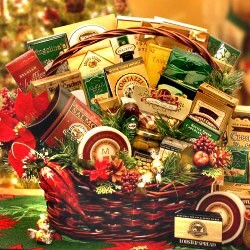 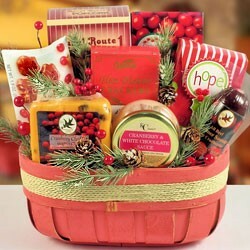 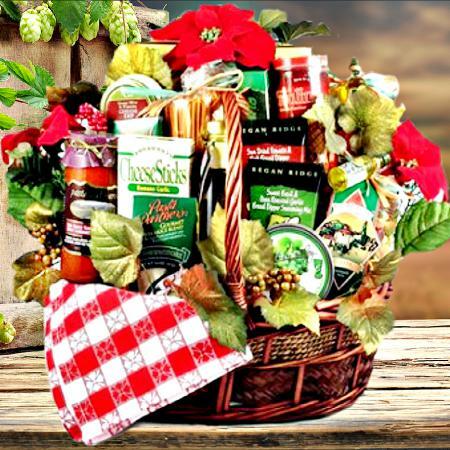 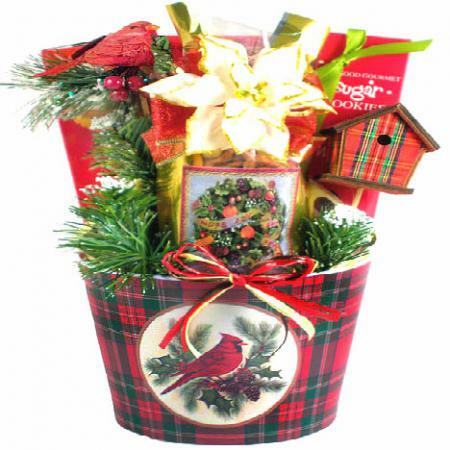 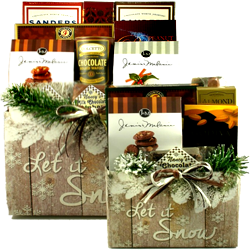 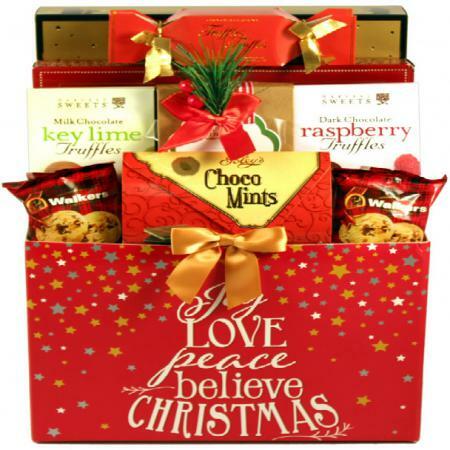 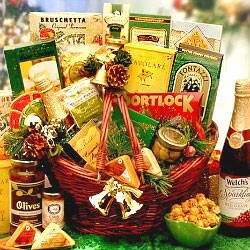 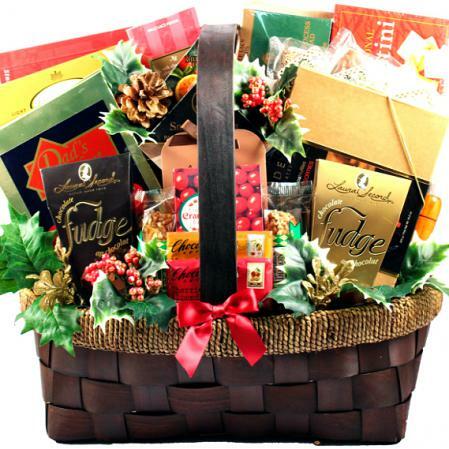 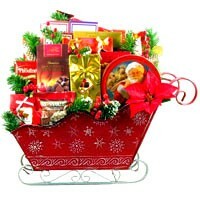 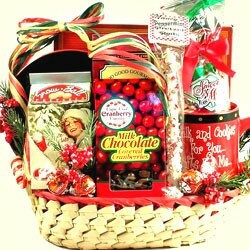 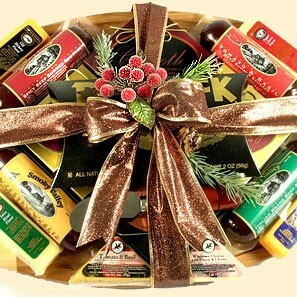 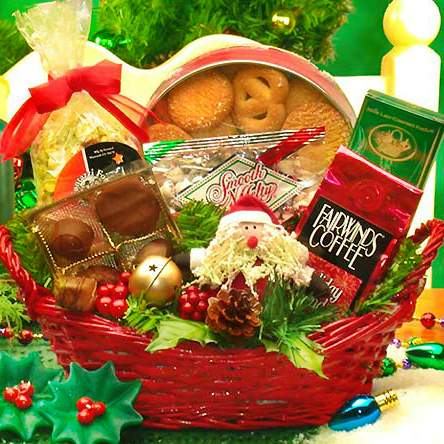 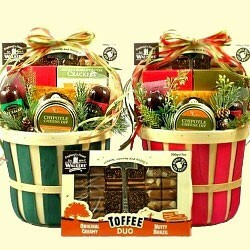 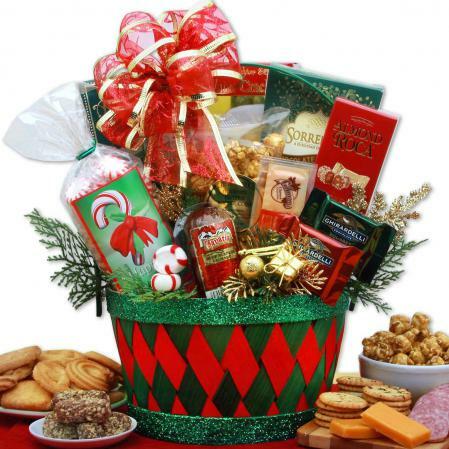 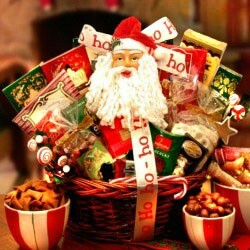 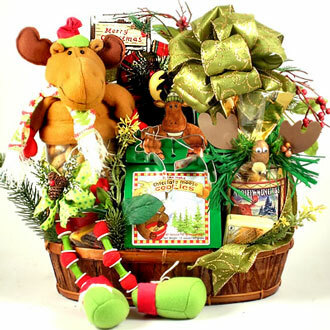 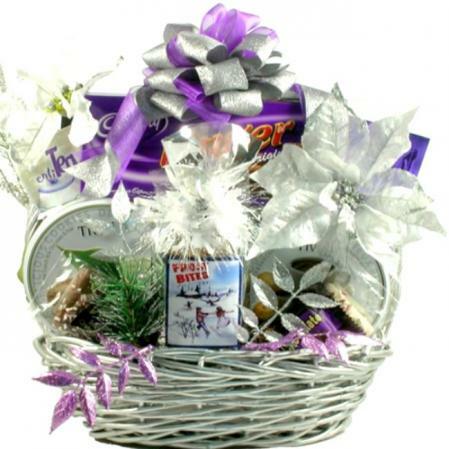 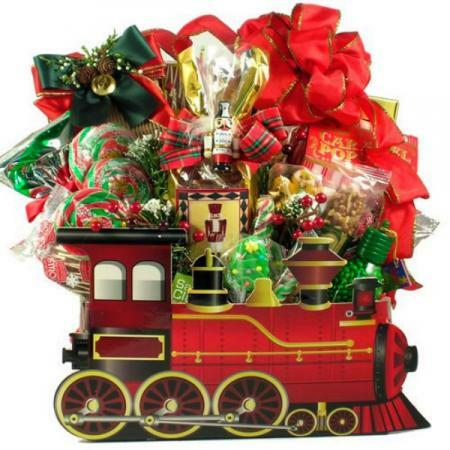 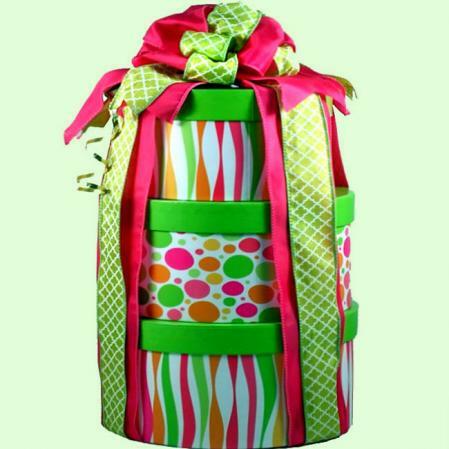 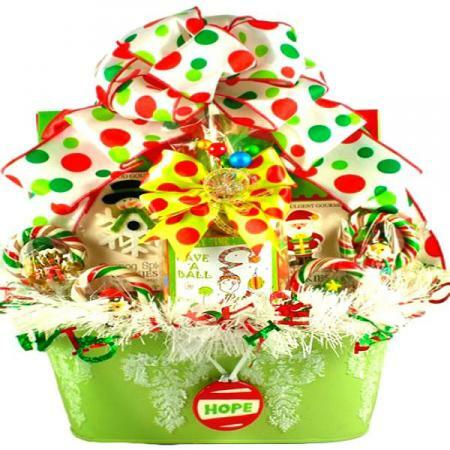 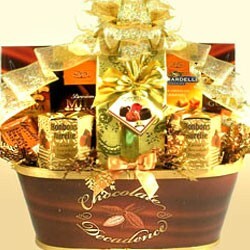 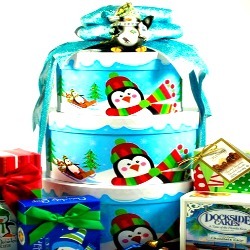 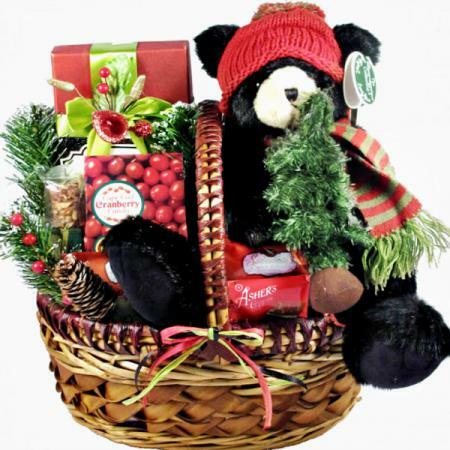 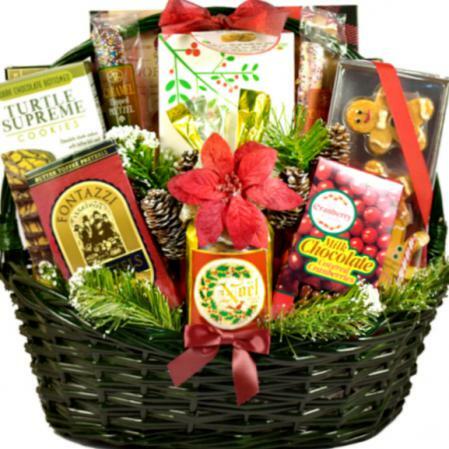 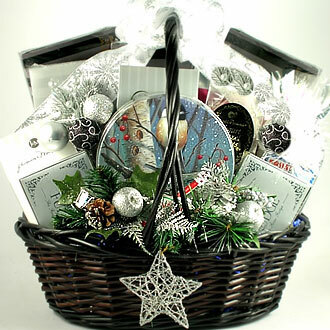 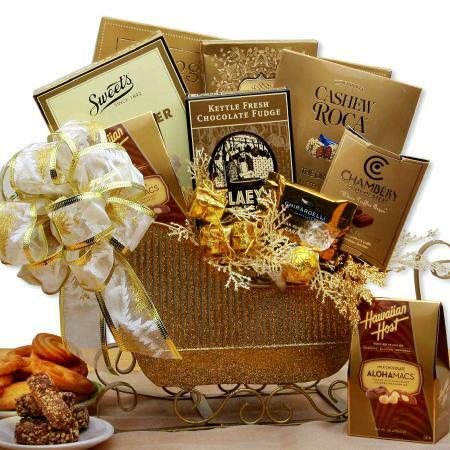 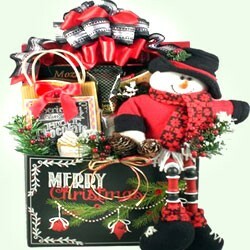 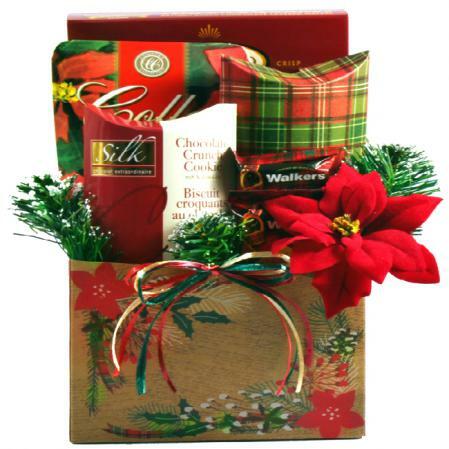 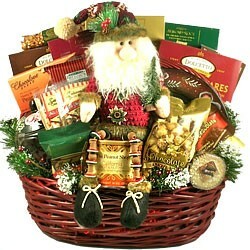 Our beautiful holiday gift basket is perfect for the office, or family gathering. 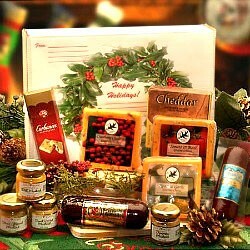 Something delicious for everyone to enjoy. 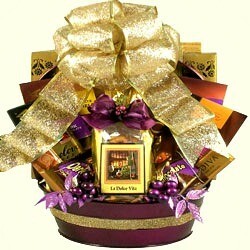 A best seller and customer favorite since 07'. 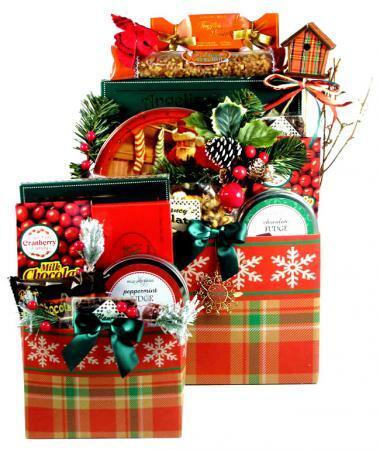 Our beautiful holiday gift basket is perfect for the office, or family gathering. 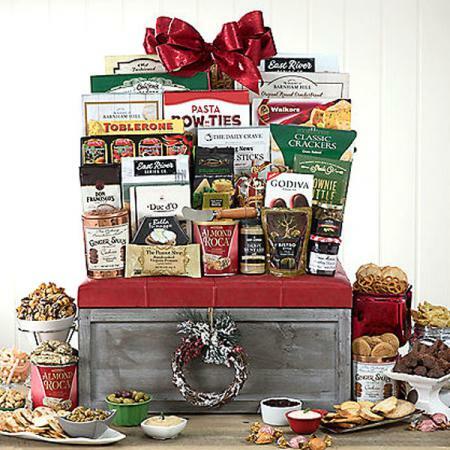 There's something delicious for everyone to enjoy. 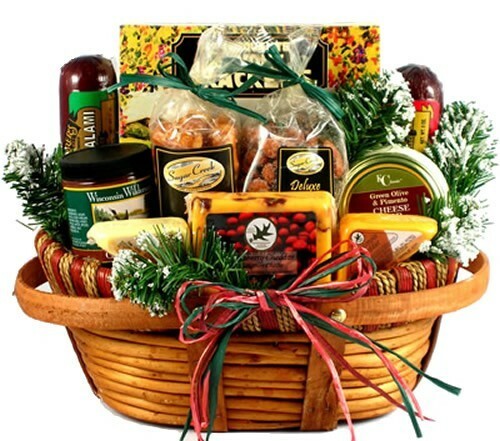 Our very handsome and unique wooden basket is filled with gourmet Focaccia Crisp Crackers, Cranberry Cheddar gourmet Cheese, Wisconsin Swiss Cheese, Wisconsin Cheddar Cheese, a jar of delicious Green Olive and Pimento Cheese Dip, Jumbo Cashews and Peanuts, “Nik Naks” Cocktail Mix, assorted gourmet Mustard, Beef Salami, All Beef Summer Sausage with Cranberries (delicious! 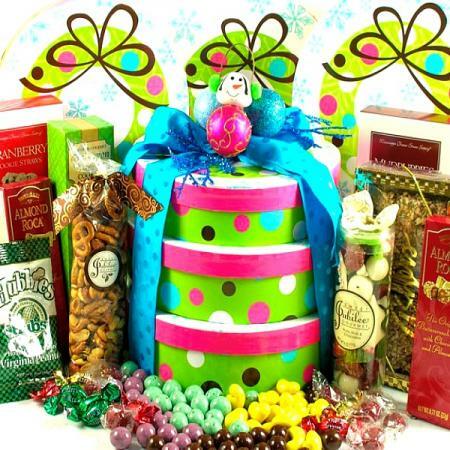 ), Mint Chocolate Wafer Cookies, Cranberry Bog Frogs (Sweetened Dried Cranberries and Cashews smothered w/ Caramel and Chocolate) and frosted pine.